As a Kilafors haulier you can opt to equip your truck and trailer combination with the market’s leading timber racks and timber-carrying frames. 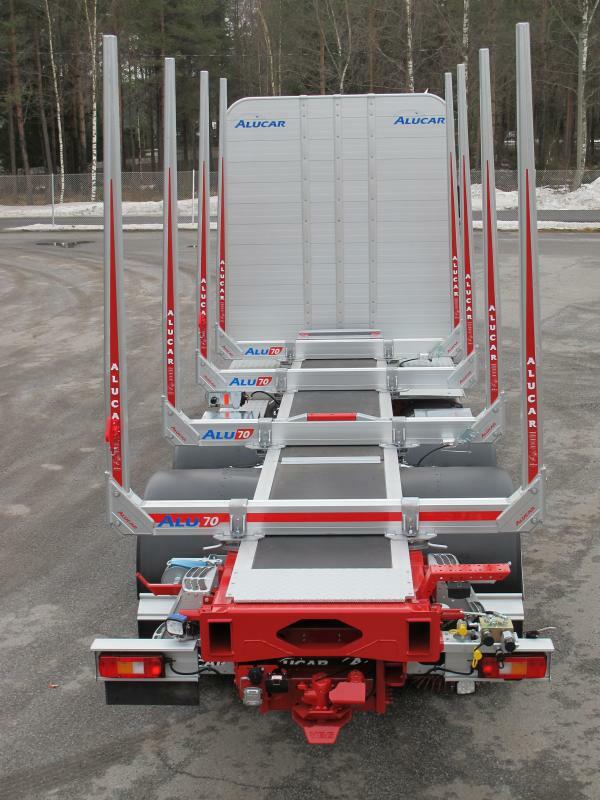 Since 2018, Kilafors has been the exclusive dealer for Finnish company Alucar. Alucar is a world-leading manufacturer of timber racks and timber-carrying frames. Since its establishment in 1984, the company has made use of aluminium as a raw material and is well-known as a trail-blazer on the international timber transportation market. The company endeavours to streamline the transportation of timber by manufacturing lightweight and reliable solutions to make transportation more economic for end users. The company’s strength lies in a highly modernised production process that can guarantee uniformly high quality, short lead times and tailored solutions to meet individual needs. Alucar’s aluminium headboards provide effective, stylish and fully functional protection for the driver and cab. The headboards are carefully tested by independent test bodies to ensure compliance with SS 2563:1978 requirements. The headboards are made from anodised aluminium; they are of double-layer sandwich design to achieve the greatest possible durability. 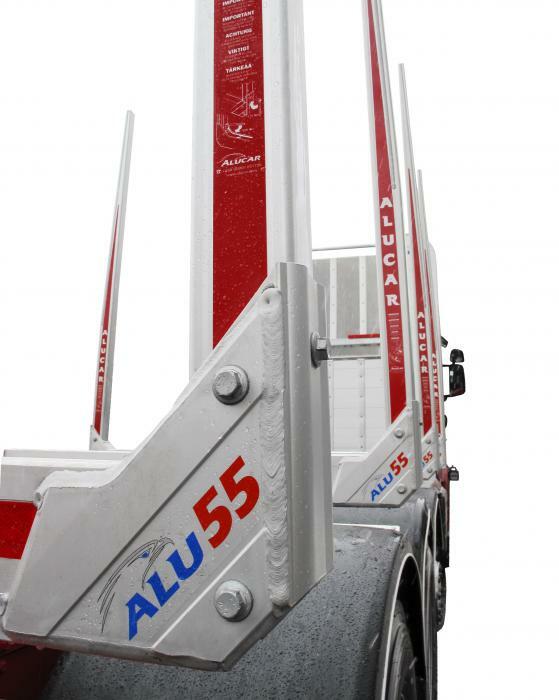 Alucar supplies two models of headboard: HD (Heavy Duty) and the lightweight ST 50. HD (Heavy Duty) is suitable for timber trucks equipped with a crane. HD is extremely durable and has been developed to offer the greatest possible resistance to the stresses that occur during loading and unloading. Guarantees problem-free, economic transportation of timber. You can select Alucar’s products when you spec your trailer in our configurator. Read more about Alucar’s product features here.